How fast will he run for the 10000m at the Payton Jordan Invitational? 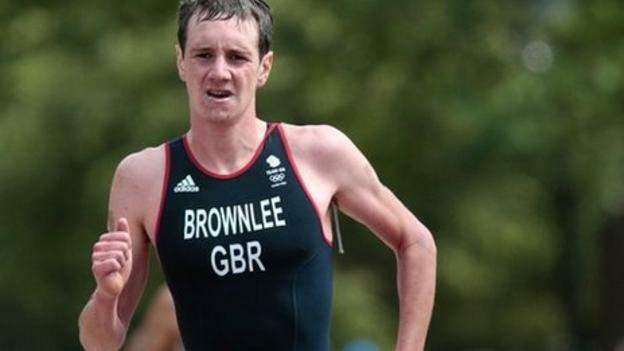 Remember he split a 29:07 at the end of the Olympic Triathlon in London last year. Post your predictions and…DISCUSS! 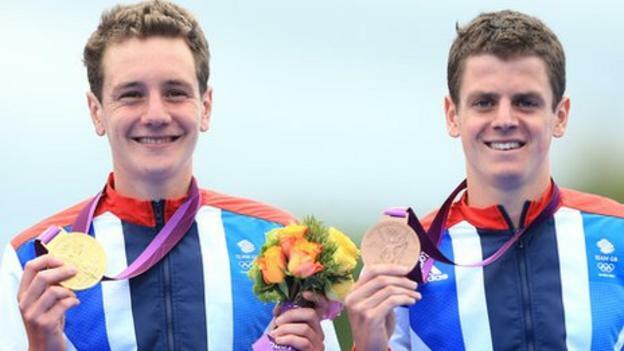 Alistair Brownlee will face Javier Gomez, the man he beat to London 2012 gold, on his 2013 World Series debut in San Diego. I posted 27:27 I believe in the other thread, wouldn’t be surprised if he was around 27:15 or so though. Fresh, 28:00 is going to be a cakewalk for him. I’m glad to see him give this a go though, honestly he’s the 2nd best runner in GB, I mean really. That said: I’m truly surprised he’s going for this in a way. I always figured he was just going to go up to the Ironman Distance and never give the track a real shot. Let’s see how this goes! Guessed 28-28:29. Wouldn’t be surprised with slower, would be surprised with faster. I predicted 29:00-29:29. Very difficult to accepting his 29:07 at the end of the 10k as 100% legit. Also I thought I read somewhere he is only 6 weeks into this training session after taking time off. It’s the Olympics… How can you honestly have a hard time believing its legit? That course was measured probably 50 times over with digital equipment that can make it accurate to within a centimeter. There is no way the Olympic race was not ± 5 meters, worse case scenario. Besides, I’m pretty sure he has actually gone mid 28’s before in a couple other road races and XC. If he goes slower than 28:20, something legit went wrong, or it was a slowly paced race where we went for the win. I’m pretty sure there aren’t many regulations for tri courses so it could be up to 1000m short and still be legal. 1000m is at the very minimum 2:30 if not much longer. Also, what date and time is this race? On flotrack Pro I assume? I’ve never in my life heard of a course that is 1000m short/long and still legal. I have no idea where you’re getting that information. Especially in the Olympics. I did not measure the Olympic Tri 10k but Hugh Jones did. I believe he told me that it was measured to the same standards as our road racing courses. Only in the past year did I hear of the acceptable tolerance for tri courses- blew me away. I made sure that the few “run” segments of the multi events I was involved were accurate. I voted for 28-28:30. Not really familiar with the Tri or Alistair to be honest but I still believe 10k on the track is way different then the roads or trails. Even though the track is in most cases faster, if he hasn’t been doing the work on a track it may effect performance. Suprised by some people saying mid to low 27s but like I said I don’t know much about him. As for the Olympic course I really doubt it was short, I know ironmans have a bit of room to play around where a marathon at the end may only be 41k or something but I think Olympic tri has to be nearly exact. Cool things like this always fall through at the last minute. If he actually runs, 28:30. The heat sheets say he is still in it and according to his twitter he is indeed in California. Section II of the 10000. I am sticking with my 29:00-29:30 prediction. Well, I was wrong. I picked 29-29:29. Good for him! A great time for someone not focused 100% on running. I’ve done a little more looking into the length of the running portion of tris and the consensus is that the 10k includes T2 but the timed part of the run only includes the run and not T2. Sounds like it was a pretty honest effort though. I still think in Heat 1 he would have been pulled to the 27:40 range though. He’s clearly not a kicker, though. I’ve seen him race probably 30 times, he’s known for fairly big positive splits because he likes to drop the competition early. Works great in Tri’s, not so good on the track when they can still see you all the time. Edit: Why did you delete? Apologies, for some reason my mind skipped the second half of your post. Agree he would have gone a tick faster in heat 1. I wasn’t able to watch the race, did he lead for any portion?